its ok for daily use. I have to get the links adjusted so I have not yet started wearing it. Overall, not a bad value for the money but i am not sure how often i will end up wearing it. 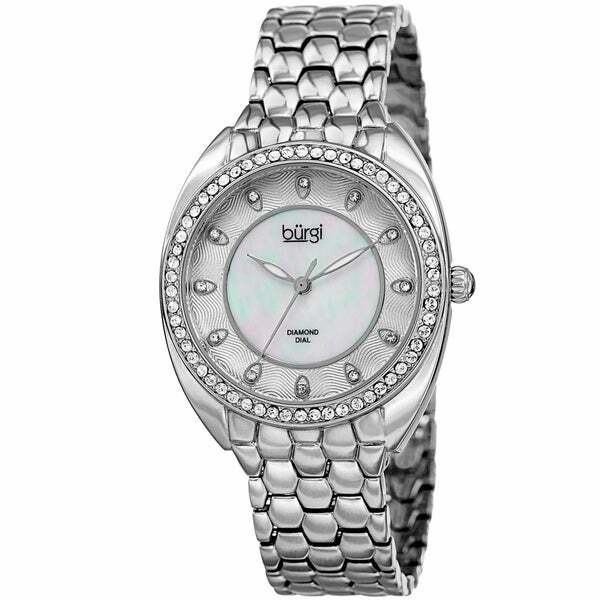 This women's timepiece by Burgi features a rich stamped pattern on the outer dial and is home to hand-applied genuine diamond markers. The inner dial is made of a custom-cut piece of genuine MOP. This watch is powered by highly accurate quartz movement. Love this watch! Very stylish I've had a lot of compliments most women see the band 1st it's different from most watches! No complaints great buy! Yes I would highly recommend this product.It by far exceeded my expectations.